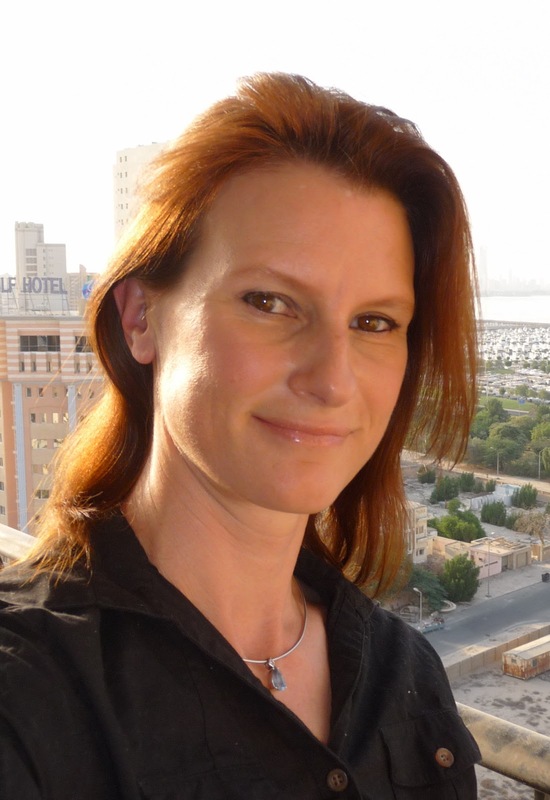 Sunpenny Publishing Group: Guest Post: The inspiration for the newly released Far Out by Corinna Weyreter! Guest Post: The inspiration for the newly released Far Out by Corinna Weyreter! 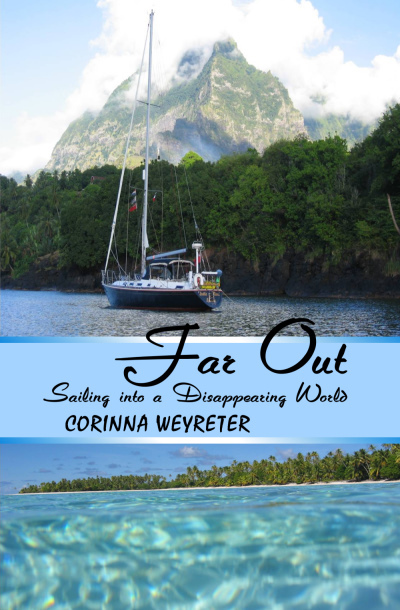 "Far Out: Sailing into a Disappearing World"
We are pleased to have our Boathook Books author Corinna Weyreter, author of our newly released sailing book Far Out on the blog today with her guest post introducing the concept of the book and the experiences that inspired it. Tired of their careers in the oil industry, Corinna Weyreter and Gjalt van der Zee sailed away from the rat race in search of freedom and adventure in the fabled South Pacific. Taking only what could justify its space on their 41-foot yacht, they abandoned materialism to discover how little a person really needs in order to be content. Trading with fishermen in Belize, learning desert island survival from the lone inhabitant of a Polynesian atoll, swimming with humpback whales beside the coral island of Niue, attending the wedding of a Chief’s son in Vanuatu ... they entered an enchanting new world. But Earth is under threat from humanity. During a period when the human population doubled, animal species plummeted by more than a quarter. 41% of all oceans have been strongly affected by Man’s activities, 19% of our coral reefs have died, and 29% of fisheries have collapsed. The young couple found a beautiful world beyond the urban sprawl and rampant consumerism of mankind, but its future is fragile. In Far Out, Corinna takes us into that disappearing world and shows us its fragility with sensitive first-hand knowledge. When we arrived in Australia we had the disconcerting feeling that we’d sailed across the Pacific only to end up back where we’d started. The low-rise shopping malls and restaurant chains were so similar to those in the States that it felt as though we’d emerged from some kind of oceanic wormhole linking one first world country to another. The journey in between those two places had been so magical that I wanted to capture it somehow, and that’s why I wrote Far Out. We’d set sail in the first place partly to fulfil Gjalt’s boyhood dream of crossing the Pacific, but also to escape the office walls that can cage a person for a whole lifetime if they’re not careful. Gjalt was an experienced sailor, but I was a complete novice, so for three years before we left we made training trips on the Gulf of Mexico to make sure we were up to the 11,000 nautical mile journey that lay ahead. 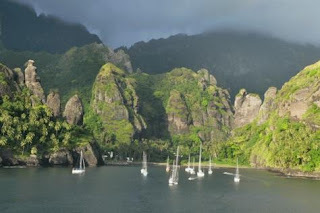 These trips involved the odd severe thunderstorm and upwind sailing so rough that even going to the toilet required fortitude, so they didn’t exactly sell sailing to me, but I endured them because of the South Sea islands and uninhabited atolls that were dangled in front of me like paradisaical carrots. At the end of our posting in Houston, Texas, the time felt right to swap the path of least resistance for the freedom of the ocean, and so we shrunk our lives to fit onto our 41-foot Westerly Oceanlord, Stella Maris, and sailed away. As we made our way through the Western Caribbean to reach the Panama Canal we got used to life onboard. Gjalt had always loved the sea and I’d spent weeks working on isolated offshore oil rigs, so neither of us minded being beyond sight of land. We enjoyed being self-sufficient, generating our own electricity with solar panels and a towing generator that could be converted into a wind turbine, using our fresh water supply sparingly, catching our own fish. We didn’t miss TV or the internet; in fact it was a relief to get away from all that ‘noise’. We discovered how little people really need to be content. Cruising quickly took us to a whole new world. As close to the States as Belize, we were trading with fishermen for lobsters, rice being more essential to life on a remote cay than money. In the Marquesas Islands, the tattooed descendants of fearsome warriors welcomed us with fruit from their immaculately tended gardens, and in Vanuatu we were guests at the wedding of a village chief’s son. It was wonderful to be surrounded by nature, to connect with it in a way that isn’t possible in a city. We swam with dolphins in Belize, sea lions in the Galápagos, and a humpback whale calf and its mother beside the coral island of Niue; we snorkelled on hypnotically beautiful coral reefs, and learnt survival skills from the lone inhabitant of a French Polynesian atoll. Living closely with nature opened our eyes to the impact mankind has on the environment. In Belize, large lobsters were getting harder to find each year, and the smaller ones being caught in their place were too immature to have reproduced, exacerbating the decline. The Galápagos Islands were under strain from unchecked migration, over-development and illegal fishing. The coral reefs we spent many wonderful hours exploring are threatened by ocean acidification and warming seas, and the jewel-like atolls of the Tuamotus are at risk of vanishing beneath the waves. The world we sailed into was beautiful but fragile, and I tried to capture it in Far Out, whilst hoping that it doesn’t disappear beyond its pages. Corinna Weyreter was born in Surrey, England. After graduating in astrophysics from the University of Birmingham she joined the oil company Shell, where she worked as a petrophysicist for fifteen years, mostly overseas. She resigned to sail around the world with her boyfriend and her book about their trip, Far Out: Sailing into a Disappearing World, will be published by Boathooks Books this year. In 1998 she won the Bridport Short Story Prize and since then has had several short stories published. If you enjoyed Corinna's guest post, why not get hold of your own copy of Far Out now? You can keep up with all the latest information on Far Out by subscribing to the Sunpenny newsletter here or following our Twitter account.